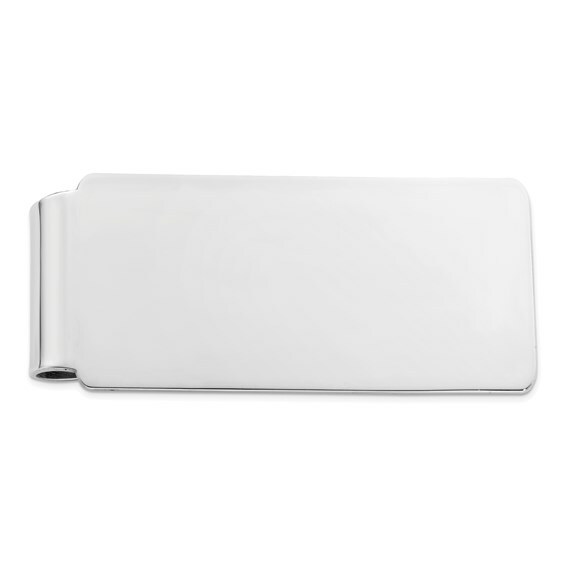 Sterling silver money clip has rounded corners. Weight: 19.6 grams. Item size: 2in x 15/16in. Made in USA.